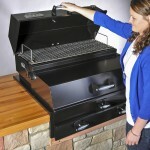 The Open Range™ will handle most outdoor cooking needs for families and is our most popular model. 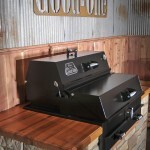 The cooking surface contains more than enough area to smoke chicken, pork, beef, wild game and fish or other seafood to perfection. 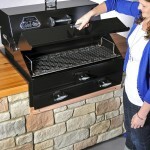 The Patio Jr., Open Range and Heritage models now ALL have a removable ash pan which allows for easy removal of leftover ash. Should the need ever arise, it can be easily replaced without the need to cut and weld in new ash grates! 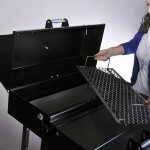 The Open Range and Patio Jr. models now BOTH have reversible smoke-box lids for even more versatility.